Serrano, Jayson - Groelle & Salmon P.A. Jayson Serrano graduated from The John Marshall Law School in Chicago, Illinois in 2011. Since then he’s been practicing civil law and has successfully litigated numerous jury and bench trials. 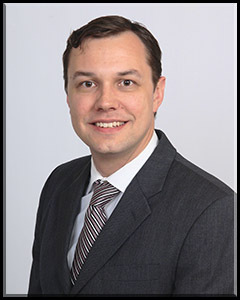 He was admitted to the Florida Bar in May 2018 and joined our firm soon thereafter. He practices in our Tampa office and focuses on first party property insurance defense and contract disputes.